Chief Executive Officer Robert Jackson announced the appointment of Jeanne Graff to the role of Vice President of Quality, Patient Safety & Regulatory Compliance. 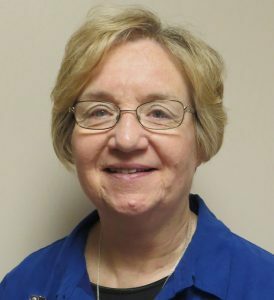 Jeanne served as Grove City Medical Center’s Vice President of Nursing from 1998 through 2003, when she left to assume that role at Armstrong County Memorial Hospital. Jeanne’s nursing career spans 47 years and her credentials include nursing school at Butler Memorial Hospital, Bachelor of Science in Nursing from Slippery Rock University, Master of Science in Nursing from LaRoche and she earned her Master of Business Administration from the University of Pittsburgh’s Joseph M. Katz Graduate School of Business. Jeanne serves on the boards of directors of the Butler VNA Hospice as well as VOICe, Victim’s Outreach Intervention Center of Butler.